The use of paper health records and handwritten prescriptions are prone to preset errors of misunderstanding instructions or interpretations that derive in affecting patients' health. Electronic Health Records (EHR) systems are useful tools that among other functions can assists physicians' tasks such as finding recommended medicines, their contraindications, and dosage for a given diagnosis, filling prescriptions and support data sharing with other systems. This paper presents EEMI, a Children EHR focused on assisting pediatricians in their daily office practice. EEMI functionality keeps the relationships among diagnosis, treatment, and medications. EEMI also calculates dosages and automatically creates prescriptions which can be personalized by the physician. The system also validates patient allergies. 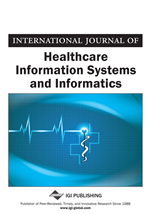 This paper also presents the current use of EHRs in Mexico, the Mexican Norm (NOM-024-SSA3-2010), standards for the development of electronic medical records and its relationships with other standards for data exchange and data representation in the health area. Mexico, like other developing countries, holds a social debt for its citizens with respect to the provision of health services. In particular, one of the most vulnerable groups is the infant population. Even though the global child mortality rate (considering children under five years old) has been declining from 90 to 48 deaths per 1000 live births between 1990 to 2012 (WHO 2013), there is still work to be done. In urban parts of Mexico, the infant mortality rate is 16.2 deaths per 1000 live births, but the number in rural areas is even higher, where children present symptoms of malnutrition, untracked growth and untracked immunizations. However, more than a half of child deaths in general (rural and urban areas) are due to diseases that are preventable and treatable through simple and affordable interventions. Some of the deadliest childhood diseases like measles, polio, diphtheria, tetanus, pertussis and pneumonia have immunizations available that can protect children from illness and eventually, death (WHO 2013). Electronic Health Records (EHRs) systems with key functionality for pediatricians can help reduce these problems (malnutrition, untracked growth and untracked immunizations) by recording a child’s information, generating immunization schedules and comparing child growth with recommended world charts (WHO 2007). EHRs assist pediatricians, who, as many other medical professionals, have a heavy work load and a priority for up to date knowledge. Pediatricians manage the physical, behavioral and mental health of children from birth up to age 21. They are trained to diagnose and treat a broad range of childhood illness, ranging from minor health problems to serious diseases. Unfortunately, pediatricians just like any human being, are susceptible to make mistakes, can feel tired and/or be distracted, and then write incorrect dosages, misspell a medication name or simply write an illegible prescription (Bates et al 2001). The National Coordinating Council for Medication Error Reporting and Prevention (NCCMERP) defined a medication error as “any preventable event that may cause or lead to inappropriate medication use or patient harm while the medication is in the control of the health care professional, patient, or consumer (NCCMERP 2015). According to the American Society of Health-System, Pharmacists prescription errors are any incorrect drug selection, dose, dosage form, quantity, concentration, rate of administration, instructions of use, and any illegible prescriptions that lead to errors (ASHP 1993). The dose selection errors represent more than 50% of all prescribing faults, but other possible errors could be due to inaccuracy in writing, poor legibility of handwriting, use of abbreviations or incomplete writing of a prescription because all of these errors can lead to misinterpretation by pharmacists and patients (Velo, G.P., & Minuz, P. 2009). In a study conducted at a Mexican university (Zavaleta-Bustos, M., et al., 2008), a sample of 370 prescriptions were randomly selected for analysis. The results indicated that 214 prescriptions (58%) of the sample had at least one error. The most common errors were incorrect indication, patient allergy to a medication, incorrect dosification, unjustified medications and duplicity of medications. Many of these errors were produced during the act of writing out a prescription. Pediatricians, when confronted with an adult-oriented EHR, complain about not having specific functions for child medical care. The pediatricians’ software requirements for EHRs are: immunization management, growth tracking, and medication dosing. Without these functions in an EHR, pediatricians are not capable to provide with quality care (Spooner, S. A., et al 2007).